Tell us about the firm’s recent recognition as experts in media, entertainment and sport. Loosemores in ranked as a Tier 1 Law Firm and I am ranked as a ‘Leading Individual’ lawyer for Media & Entertainment Law in Wales by notable industry directory, The Legal 500. I am the only solicitor in Wales with this ranking. In addition, our Senior Partner, Mark Loosemore is also a ‘Recommended Lawyer’ by The Legal 500, for his work in Sport and Media & Entertainment. My colleagues Michael Culley and Karl Thomas are also ‘Recommended Lawyers’ by The Legal 500 for their work in Sport. Please give a brief overview of the services offered by your Media and Entertainment team? We deal with all aspects of development, funding, production, co-production and distribution of film, television and digital content, talent agreements and chain of title checking. We also advise on sports media rights, sponsorship, athlete and celebrity endorsement arrangements, so-called image rights, trade mark licensing, event staging, agency and management agreements, website and app development agreements, and much more. What is the most common question you are asked (and your answer)? Clients normally ask pretty quickly about cost! They are naturally concerned to control their expenditure and sometimes have a limited budget for legal fees, particularly until their film or TV project has been given a green light. We offer a level of media & entertainment and sports’ expertise which can be found amongst a few specialist teams in London law firms, but we offer these services at a much reduced cost. Wherever possible we give a fixed price quotation for the work involved and aim to provide value for money with no nasty shocks. What are the biggest legal issues in the industry at the moment? The way in which people consume video content is clearly changing fast, particularly amongst children and young adults. OFCOM has a battle on its hands to keep the UK regulatory regime fit for purpose. How has the legal landscape in this area changed over the past few years? It has become more highly regulated and sophisticated. This, along with technological advances, has led to more specialism within the sector. I spent a couple of years specialising in intellectual property when I first qualified as a solicitor. Copyright underpins all content produced for TV and digital media platforms, so I jumped at the chance to work as an in-house lawyer at public service broadcaster S4C, where I remained Head of Legal for many years. 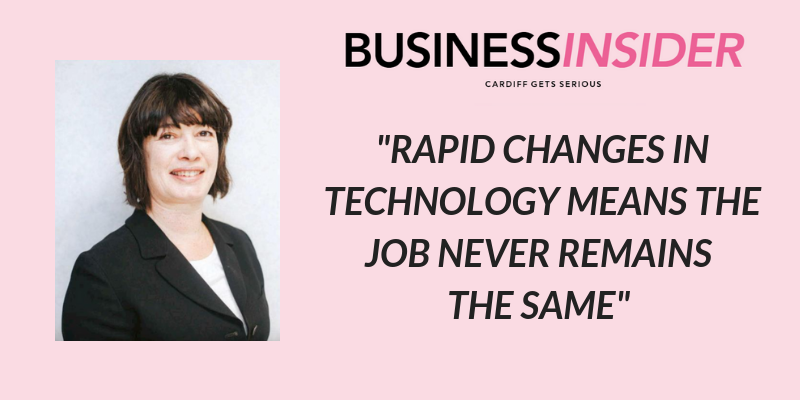 Rapid changes in technology mean that the job never remains the same. I also enjoy working with producers and financiers on co-production arrangements, where the sources of funding can include public funding, private investors, distribution advances and government tax credits. The full Cardiff Life magazine is online.